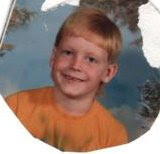 Christmas often brings many surprises, but this year I was surprised by the gift of seeing little Norse sporting a mullet in some elementary school pictures. Remember folks, mullets were cool at one time, so these just go to show what a hipster little Norse was. I just want you all to know that I did get Norse's permission before posting these. We are guessing this is about age 5/6? This one was noted as "Norse 10 yrs"
Do you got a mullet a mullet going on? Do you got a mullet is it beautiful big and long? why is it when I go out in public why do these people stop and laugh? I LOVE the Mullet Song! 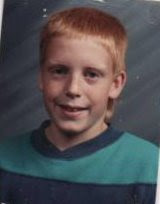 The Mullet. It was a special look, huh? HOW have I lived all of these years THINKING that I am in the know and NOT have heard the Mullet song? Funny post!! !